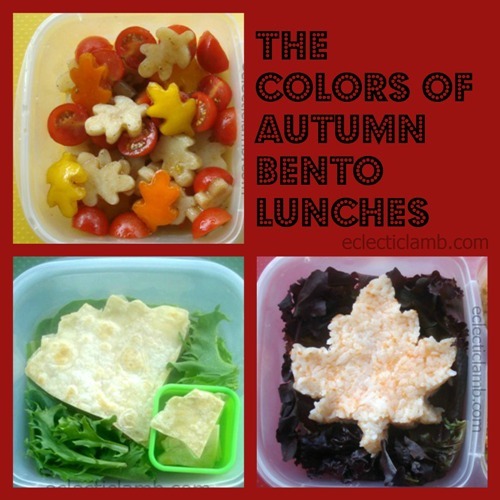 To celebrate the season of fall, I made these three leaf themed bentos for myself. While I did enjoy the treat of having maple apple crisp for lunch (and my husband enjoyed eating the rest of it), the oak leaf lunch was my favorite to make and eat. I find it very relaxing to cut fruit and vegetables into cute shapes with a cookie cutter. Also, the novelty of potatoes cut into shapes for a potato salad was enjoyable to eat. Fruit: Maple Apple Crisp – (I did not use the walnuts.) This was delicious! Vegetable Potato Salad: I basically followed this recipe from Diethood.com but I cut my potatoes into oak leaves before cooking. I did not use the red onion or oregano. I also used orange and yellow bell pepper instead of the green. 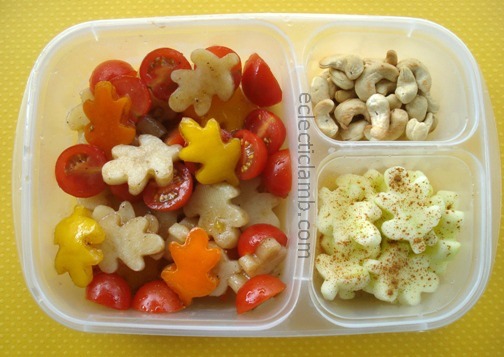 This entry was posted in Bento / Cute Food, Food and tagged bento, lunch, themed potato salad, vegan, vegetarian. Bookmark the permalink. How creative and looks FUN as well as delicious! I’ve just “discovered” bento boxes and want to know more! I’m a happy Vegan of three months now! Welcome to the world of bento! 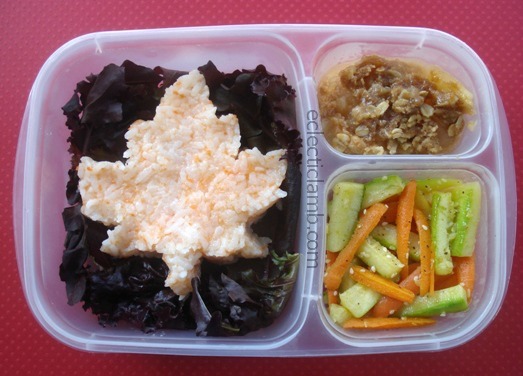 The oak leaf salad is adorable! What a creative idea. Thank you so much! It was also my favorite. Thank you so much! I love showing how vegetarian and vegan food can be beautiful and delicious. These bentos are SO CUTE!!! Thank you for letting me know about your beautiful site, and I am really glad you liked that potato salad! Thank you! I was inspired by your recipe. I love your lunches! Especially the Vegetable Potato Salad, it’s so pretty. Cutting the potato before cooking it is genius! Thank you so much! I was concerned how it would work out by cutting the potato before cooking but I was gentle with them when draining and did not overcook. It worked out great! 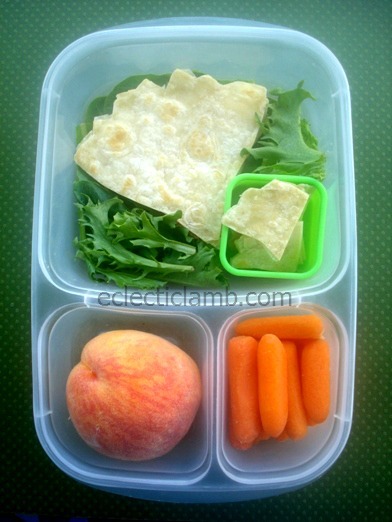 I love how you incorporated different leaves in your lunches! So creative with the use of different ingredients! Gorgeous lunches. I love fall. Will be sharing this on FB today! Beautifully done….one of your best yet! Just wonderful! I love Autumn and make a lot of things leaf-shaped,myself! Love the oak leaf salad looks phenomenal. Beautiful lunches, as always! The oak leaf salad is my favourite too, it looks gorgeous and delicious!